This colorful Piranha Plant was spotted by Clare somewhere on E. Johnson St. today - a healthy looking plant surely enjoying the early spring sunlight. 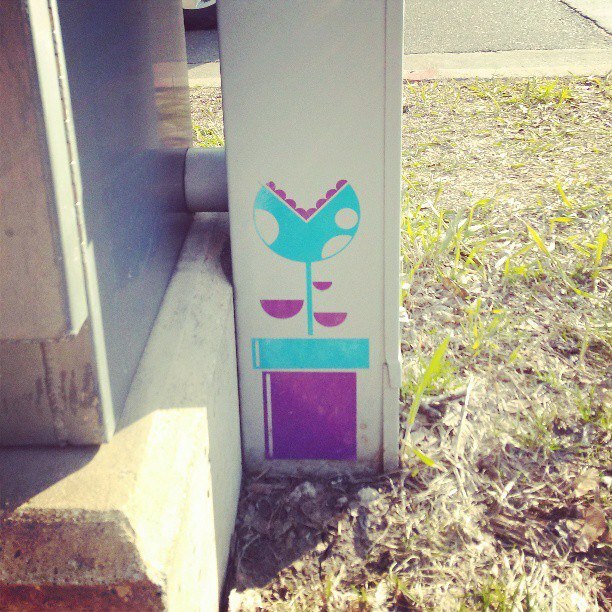 Photographer Wendy K. kindly sent in even more submissions of some little bits she's spotted around town. 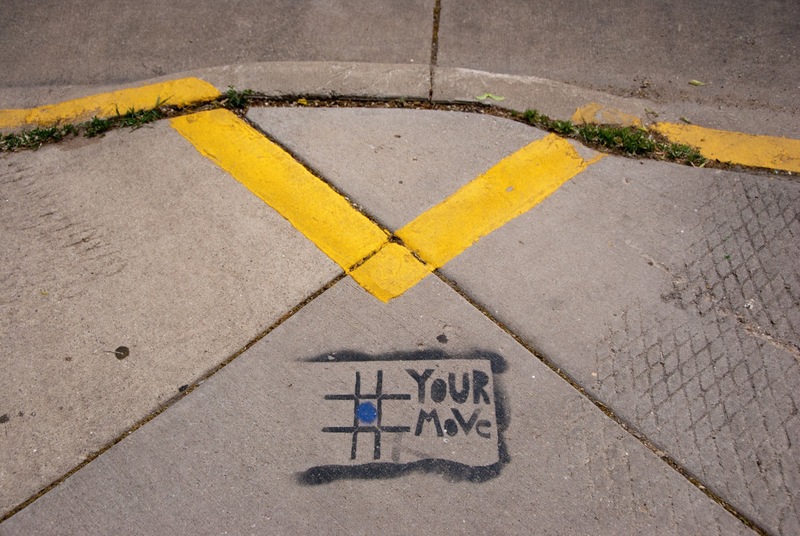 I really want to go find the tic-tac-toe stencil and fill in another move. 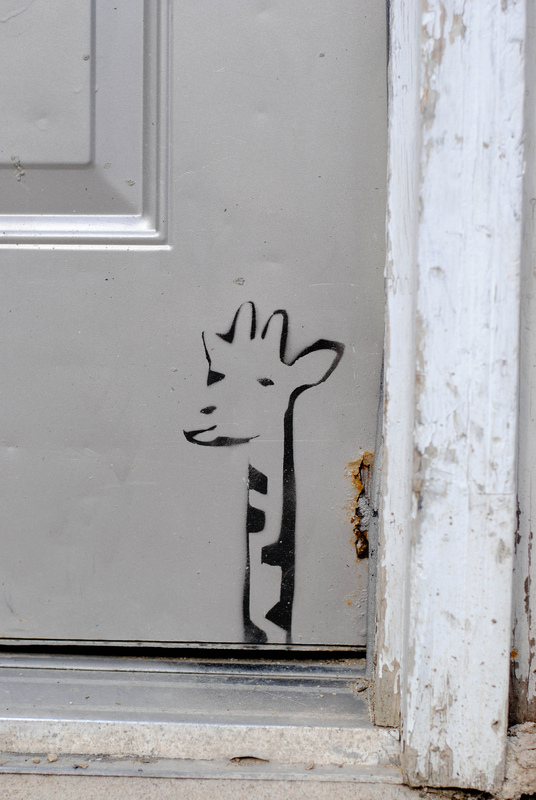 Oh man, this is an awesome stencil. Glad to see the artists are out and about again now that things are thawing out around here. This gem was photographed by Wendi Kent, who says it's in the bike path tunnel to East Campus Mall. Let's hope it gets to stick around for awhile. After all, it's important for people to be aware of oncoming breakdancers. Dexter, triumphant, a photo by Lost Albatross on Flickr. 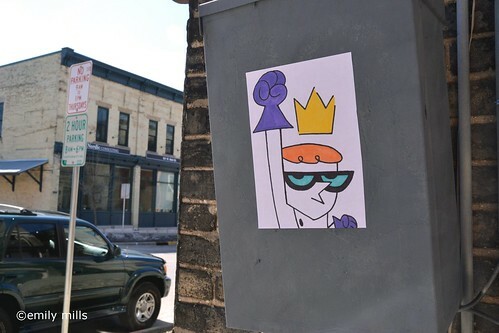 First spotted/photographed piece of street art of the season. I think this means that spring has officially sprung in Madison (finally). 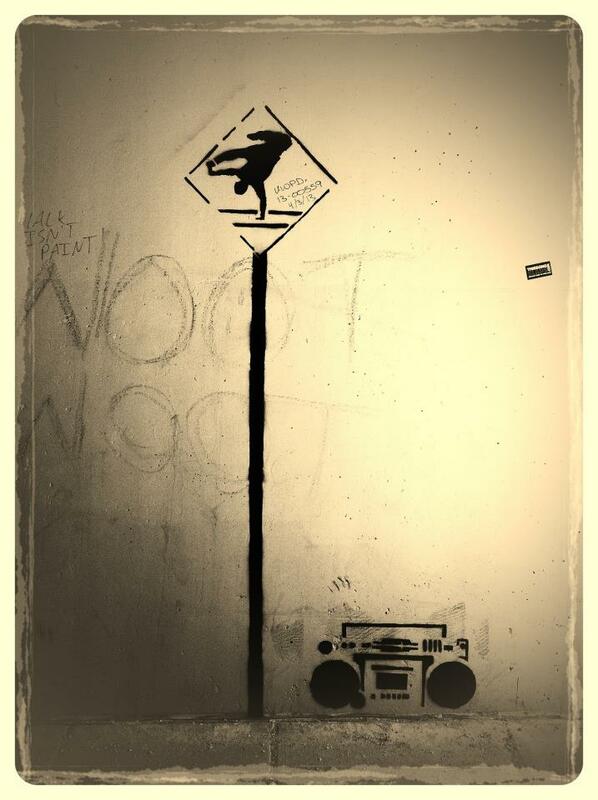 If you spot any street art of your own don't forget to submit your photos to the blog at madstreetart AT gmail.com!